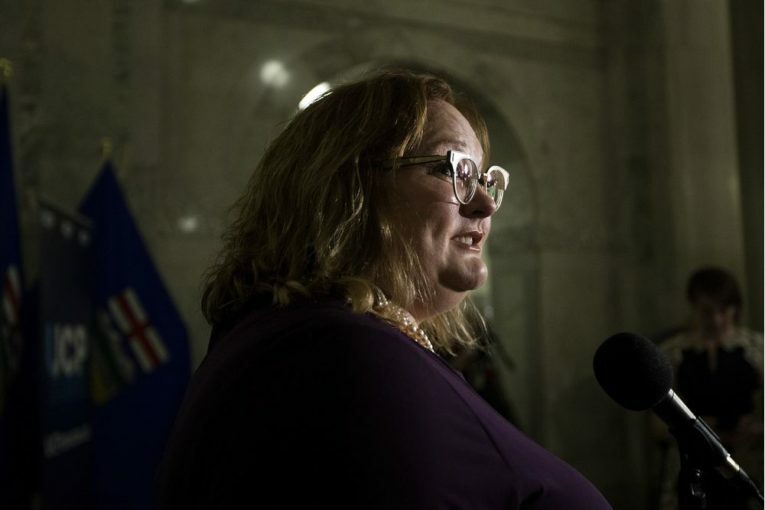 The Notley government’s quagmire over power contracts continues to deepen, with Deputy Premier Sarah Hoffman and the premier’s communications director now in the crosshairs of a new $1-million defamation lawsuit. While chiding the former PC government in 2016 for mammoth public losses over power purchase contracts — loses tied to their own actions after taking power — the NDP government also sought to shift some of the blame to now-defunct Enron Corp. for its lobbying efforts. What they likely weren’t counting on was a former Enron lawyer in Calgary suing them for defamation in the matter. Last week, Robert Hemstock did just that, filing a $1-million lawsuit against the province, Hoffman and the premier’s communications director, Cheryl Oates, along with other unknown individuals involved in the matter. Hemstock, who is now semi-retired, alleges the province implied he “caused the billions of dollars of losses to Albertans when it was the government’s own actions which caused the loss,” according to a statement of claim filed in Court of Queen’s Bench. “The defendants defamed Hemstock by lowering his reputation to the public at large, and by identifying him as the Enron lobbyist and accusing him of illegal and unethical conduct, knowing fully his professional standing as a practising lawyer requires that he act legally and ethically,” it states. Government officials said Friday they were aware of the case and are in the process of retaining counsel. A response to the claim is forthcoming, but as the matter is before the court, the province wouldn’t comment on any specifics. In an interview, Hemstock said Friday he was shocked and disappointed by the government’s actions and wants a chance to defend his reputation. “I don’t relish the idea of bringing this lawsuit. It would be much easier to move on, but I can’t do that,” he said. The issue centres around power purchase arrangements (PPAs) created in the late 1990s as the Klein government deregulated Alberta’s electricity sector. The contracts allowed companies to buy electricity from power generators and then resell it to consumers. For years, this change-in-law clause within the contracts operated with little fuss, until power prices plunged in 2015 amid a punishing recession. PPA holders, such as Enmax Corp. and Capital Power, were stuck with deals that were hemorrhaging money. After the Notley government was elected in May 2015, one of its first acts was to increase the carbon levy charged to large industrial greenhouse gas emitters, including coal-fired power generators. As the higher taxes caused greater losses, several PPA holders decided to give the deals back to the province’s Balancing Pool — ultimately backstopped by consumers — by citing the change-in-law clause. Saying they were unaware of the “more unprofitable” phrase, the NDP asserted those words had been secretly inserted into the agreements at the last minute in 2000, at the behest of lobbying by Enron Canada’s Hemstock, then the company’s director of government affairs in Alberta. Despite the former head of the Alberta Energy and Utilities Board saying the clause was widely understood by people in the power sector and within government, the NDP blamed Enron and the former PC regime for the imbroglio. The Notley government also created a web page — Understanding the Enron clause — to explain the issues and bring the bankrupt U.S. energy firm into the spotlight. In his statement of claim, Hemstock contends it was the NDP government’s actions that tripped the clause. Facing political criticism, they attempted to direct public opinion against him, “taking overt steps to discredit Hemstock,” it states. “A plan was devised to fabricate the name ‘Enron Clause’ as the descriptor of the change-in-law clause,” says the filing, noting Hemstock had nothing to do with the parent company’s accounting problems in the U.S. The statement of claim says Hemstock’s efforts to ensure the clause was clarified served to properly reduce risk to power contract bidders, ultimately increasing the offers made by companies for the PPAs and benefitting Alberta. Hemstock, who later worked as an executive at Enmax, is seeking $750,000 in general damages for defamation, $250,000 for aggravated damages, as well as unspecified punitive damages. Dan Laville, a spokesman for Alberta Justice, said the province’s risk management insurance will likely cover the legal costs of the defendants. In the interview, Hemstock said Hoffman and Oates and the province were all named in the lawsuit because “they were directly involved. “I have no political objectives behind this. My reputation is what matters most,” he added.